Celebrating Read Across America | Speed Reading Plus Blog! I am re-blogging this from a few years ago because March is National Reading Month and Saturday, March 2nd is Dr. Seuss’s birthday. My college isn’t putting this even together anymore so it makes me a little sad to not be participating in this way but it is a fond memory of reading to kids in a school where I once taught. We can all celebrate the day and month by encouraging young readers and ourselves to celebrate reading. Once a year I get to go back to my beginnings as a teacher. I volunteer to read stories to grade school children through The Ohio State University’s Colleges of Education and Human Ecology and the College of Arts and Sciences’ participation in Read Across America. 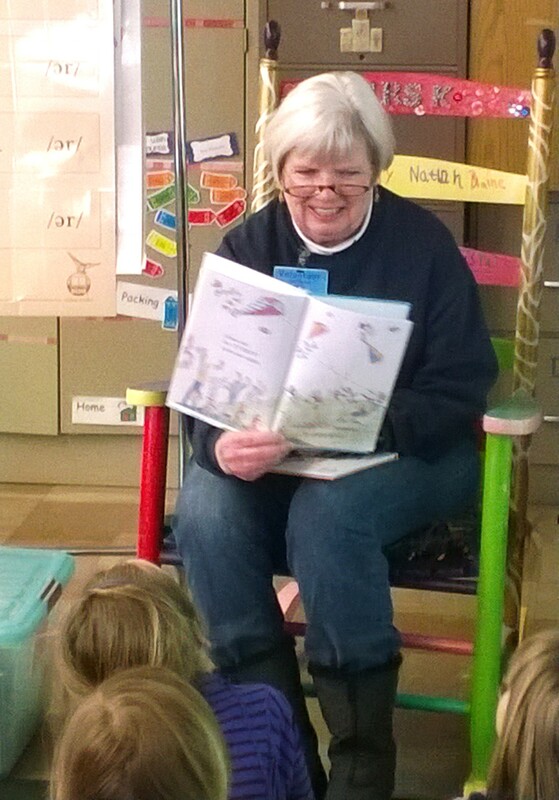 On Monday I read to a first grade class at Barrington Elementary School. It was great fun! My son and grandchildren went to Barrington, and the volunteers were teachers who had taught them! I read Dr. Seuss’s Great Day for Up and I Am Not Going to Get Up Today. A good choice I thought for a cold Monday morning. 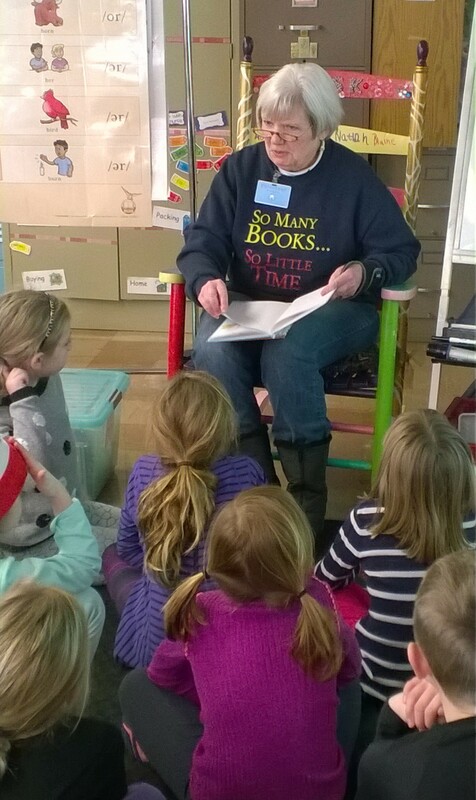 On Tuesday I read to a kindergarten class and a second grade class. I had taught first grade at Prairie Norton shortly after graduating from OSU and loved it. Volunteering there brings back great memories. For Prairie Norton I chose When Papa Snores by Melinda Long (a favorite with my grandsons) and “Stand Back” Said the Elephant, “I’m Going to Sneeze!” by Patricia Thomas, a favorite book to read when I taught first grade. Read Across America is designed to motivate children to read because children who read do better in school. NEA’s Read Across America also provides NEA members, parents, caregivers, and children the resources and activities they need to keep reading on the calendar 365 days a year. In addition to the 3.2 million elementary and secondary teachers, higher education faculty, education support professionals, school administrators, retired educators, and students preparing to become teachers who make up NEA membership, some 50 national organizations and associations give their support. Aside | This entry was posted in celebrations, children's reading, Enrichment, family, reading, reading classes, reading improvement, schools, self development, speed reading, speedreading, teachers, teaching and tagged adult learners, Dr. Seuss, Education, good readers, grade schools, NEA, Read Across America, The Ohio State University. Bookmark the permalink.